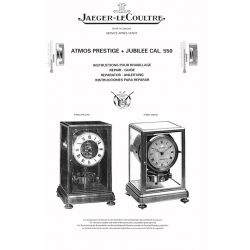 If you are planning on working on a Jaeger LeCoultre model 550 than these repair notes are a must have. 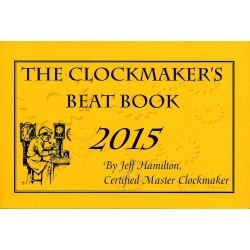 This 6 page booklet is a must have for anybody planning on working on the Jaeger LeCoultre 550. 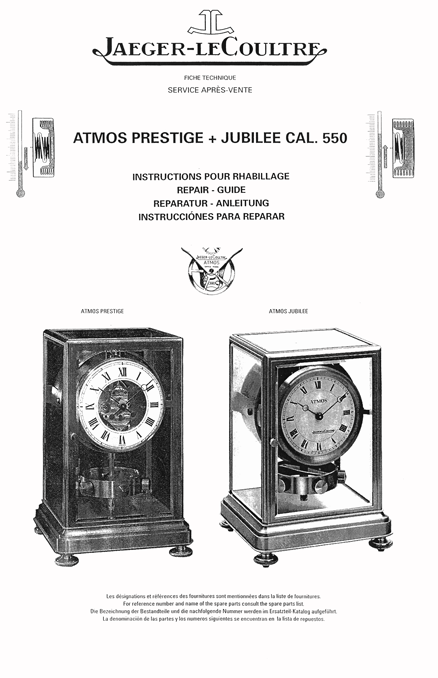 The booklet give you the specifications for repairing these clock as well as some detailed pictures. The 550 is very different from other Atmos models and these repair notes will really come in hands. Make that job of rethreading a new suspension spring through the balance tube as easy as 1-2-3 . 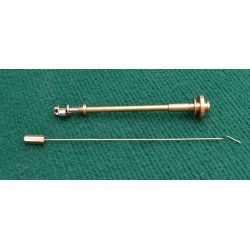 Just insert the Atmos suspension spring puller through the balance tube, fit the tip of the suspension wire in the end, lock in place and pull in through. Work smart not hard. Balance stem not included. 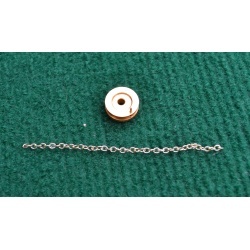 The Atmos chain puller is made out of super strong music wire that will last for years. 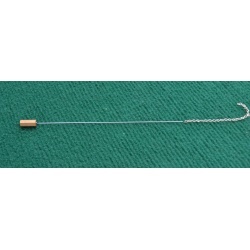 Just feed the hook through the 52mm spring guide and hook it onto the chain, pull it back through and pin it.